My story is a strange one. I live in Ireland. I’m 14. I have two brothers, Micheal(26) and Seamus(24). My sister, Roisin, is 22. My Dad is 50 and my mom is dead from a stroke only 2 years ago. I moved to a private school on secondary school in first year. At this point no-one had any suspicions of ADHD. I was getting into fights, had a short temper, could never pay attention in class, couldn’t do any form of first year maths, couldn’t learn a single word in Irish, French, and Spanish. I didn’t advance in either anything that I wasn’t interested in, so my maths teacher was constantly getting frustrated with me and I couldn’t understand what she was saying. I tried very hard to listen,but, I couldn’t take in a word that she was saying and I was falling way behind the class. My English teacher seemed always waiting for me to blossom. Before I went into Secondary I never could pay attention in class. I was always looking into space, day-dreaming. When I went into first year I quick;ey found myself a group of friends and made a reputation for myself of having a short temper. Quickly people learned not to bother me and because I was high up in karate and, as I later learned, due to my impulsiveness, have very fast reflexes. They also learned not to be mean to me because my mum had died in July 2007. I became very dear friends with a guy called James, who took me for who I was. I also became friends with a good group of guys. One called Karl, took interest in my predicament which I haven’t fully explained yet. About six months after my mom died I started writing music,lyrics, and poetry. I was excelling at the violin. My dad met a women called Bridghid who’s sister had been murdered recently by her sister’s husband. It was all over the news paper although I am not sure why. Anyway, My dad eventually fell in love with her and I began to like her a lot too. I just called her Biddy. She was an artist who painted Naive art for a living. I always looked forward too visiting her in her tiny cottage. After a while it was clear they were together for good. She always gave me presents of literature books which I was interested in. At the time I wanted to get a degree in writing. When I went into Secondary I was always so busy and frustrated with my dad who made me study constantly. (and a lot of people always told me that I was very smart for my age, but I was just being mentally lazy and that I was not applying myself harder in my studies) so I took a diagnosis on the internet and it came up as either ADHD, bipolar disorder and delirium. The latter two seemed very unlikely. Biddy told Graham (my dad) that he should bring me to a psychiatrist to help me “cope” with losing my mum(Hilary or hilly). A lot of the time at first I didn’t really have much to say, I kept getting distracted. Around that time I learned that my mum had dyslexia. About two months later I was noticing more and more symptoms of ADD and Mathematical and linguistic Dyslexia. 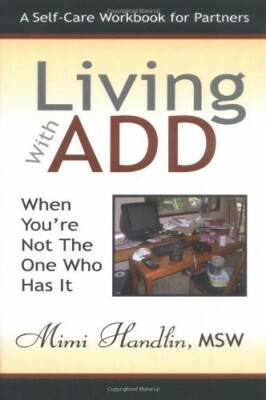 About another two or three months later I learned that ADD was really just another name for PI-ADHD or Primarily Inattentive Attention Deficit Hyperactivity Disorder. It all added up with the learning disabilities, short-attention span, hyper-activeness when adults weren’t with me, and I was just with my friends and and how I always jumped about when people touched me from any where on my back even when I was expecting it and I acted on impulse a lot of the time grabbing things of tables darting out with my hands. For a while I was searching for things like syntapol, Vaxa’s Attend. But I have learnt a lot from people over the internet in chat rooms. Apparently those drugs can have nasty effects in the future. I told my psychiatrist about the diet and she agreed that so long as the diet helped, that there was no need to go looking for drugs like syntapol or vaxa. I couldn’t and still can’t trust adults. The people I trust most are the guys from my class. I trusted those five more any adult, even my own dad(twofold). 1. 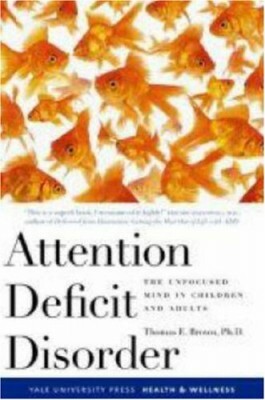 Learn more about ADHD and what it is and why you have it. 2. That books are the best thing to buy for helping you get along with your impulsive self. 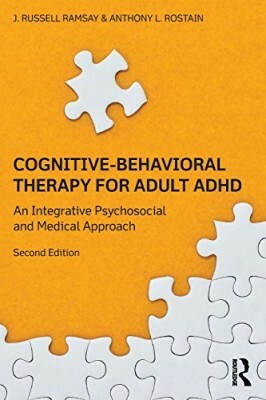 I highly advise getting “A bird’s eye view of life with ADD and ADHD: Advice from young survivors” by Alex Zeigler and Chris A. Zeigler Dendy. It’s very humorous and gives great information on the disorder and information on how to cope with it, as well as stories of young survivors. 3. Get in touch. My dad doesn’t know about my ADHD and dyslexia.